Maintaining a healthy and fit lifestyle is part of our community’s character. Much of that happens through the hiking, biking, running, and other outdoor activities our exceptional location provides for. We also provide the buildings, facilities, and resources on campus to ensure our students have everything they need to maintain the best possible physical, spiritual, and emotional health. The Wellness Center at Carroll is the hub of student health services. Open from 9 a.m. to noon and 1 p.m. to 4 p.m. Mondays through Fridays, the Wellness Center offers a wide range of services, including physical health checks, flu symptoms checks, medical prescriptions, and mental health counseling. There is a 24-hour hotline for students in cases of emergencies, and the Center’s Relaxation Room offers students a tranquil space to relax whenever they need it. The Carroll PE Center is available to all students, faculty, and staff and provides access to basketball and volleyball courts, as well as a state-of-the-art fitness center. The PE Center is open seven days a week, and offers aerobic machines, free weights, and more fitness equipment and resources. 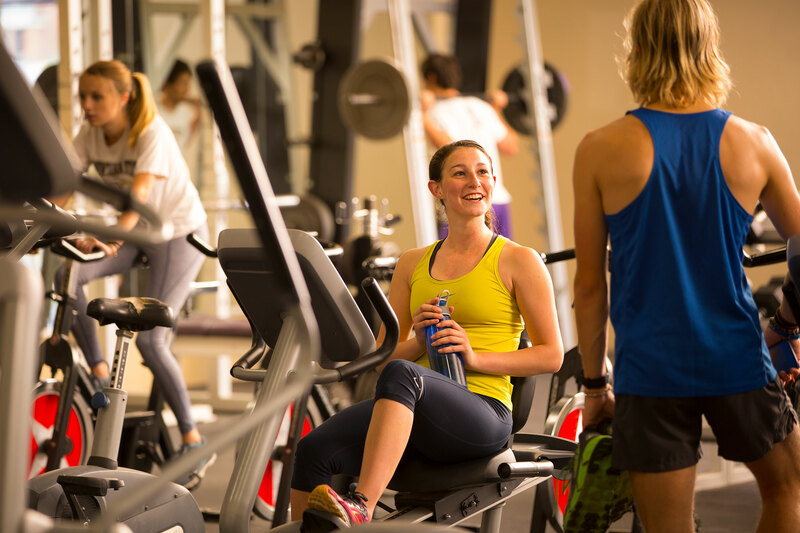 The Hunthausen Activity Center provides the entire Carroll community with the most advanced and leading-edge fitness facilities and resources imaginable. The center offers recreational and intramural space, a gymnasium and open court space, a fitness center with cutting-edge cardiovascular training equipment, multipurpose and movement rooms, a climbing wall, a lounge, and several meeting rooms.